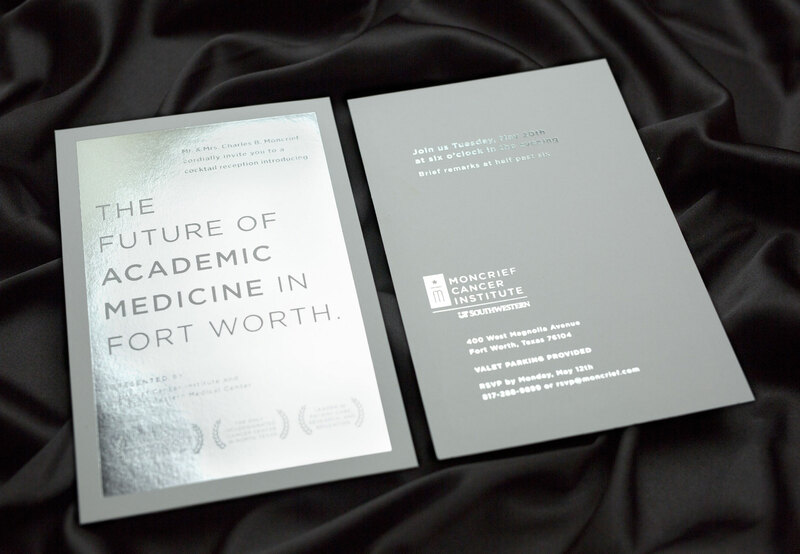 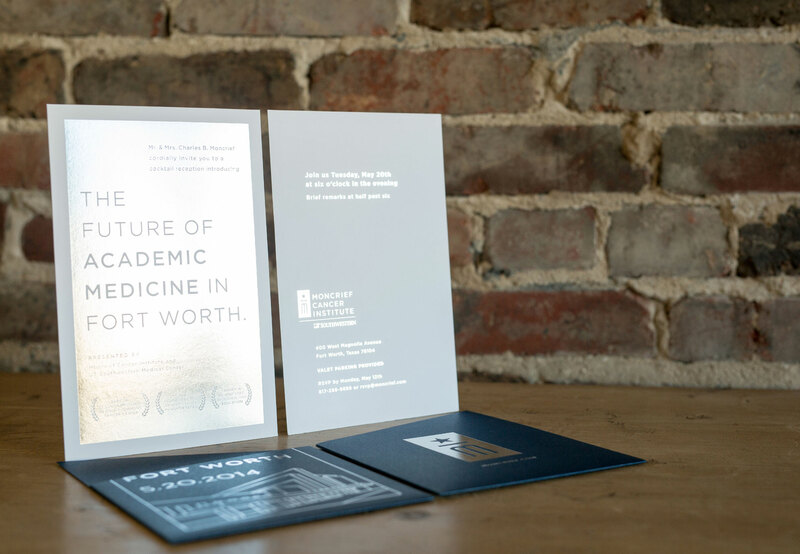 One Futuristic Invitation - Schaefer Advertising Co.
For Moncrief Cancer Institute’s Future of Academic Medicine event, we used a silver foil on two types of paper to create an upscale invitation. 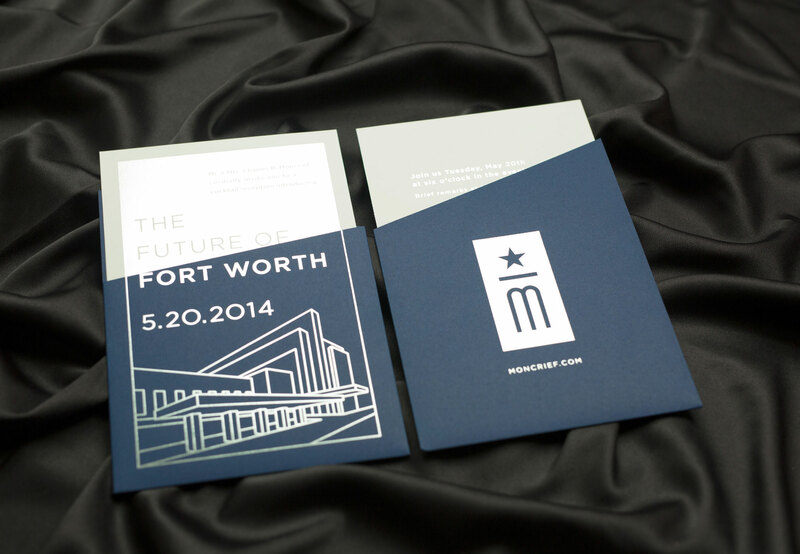 The main imagery on the sleeve is a line rendering of their building, which stands out well from the blue background. 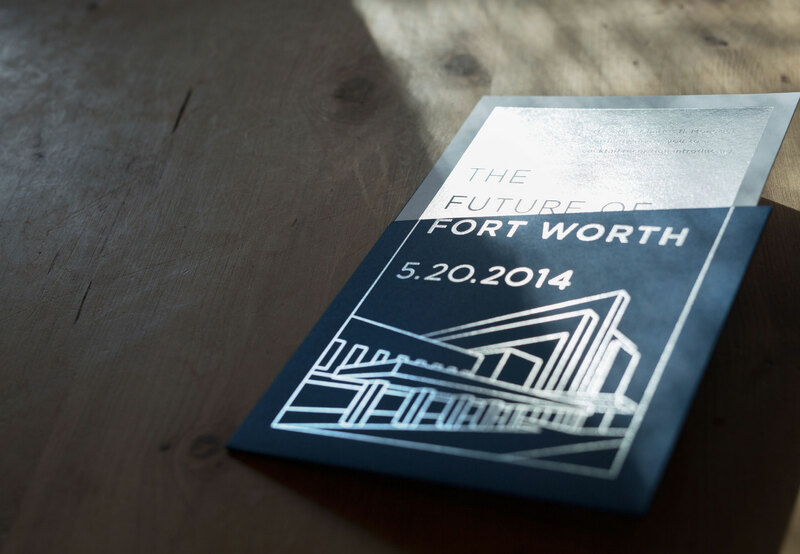 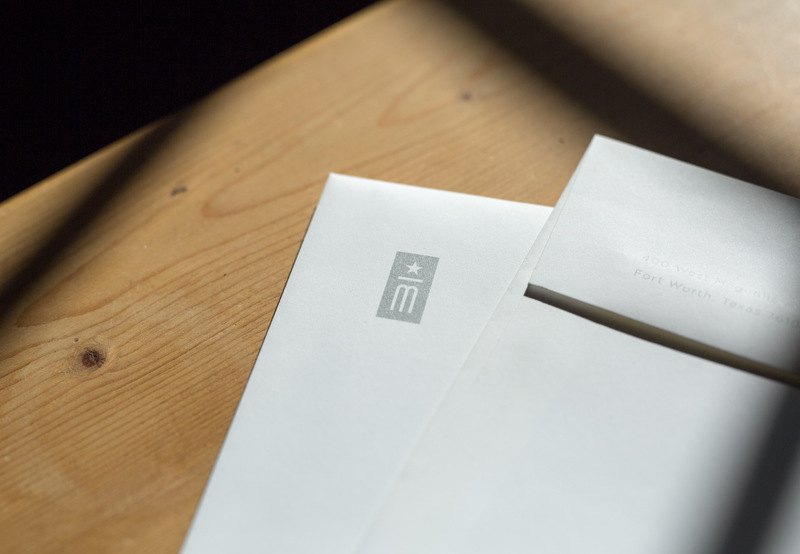 The use of silver foil in the negative space of the invitation also created a striking effect.